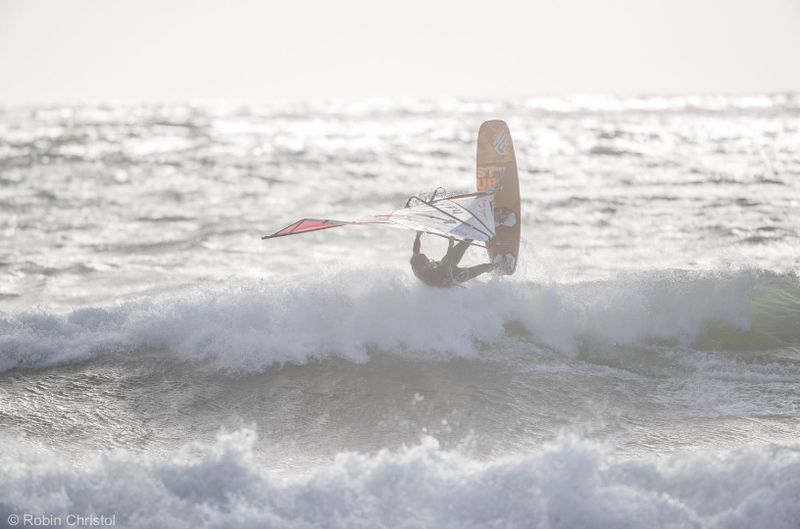 Today we would like to feature our PWA Slalom Vice World Champ Pierre Mortefon in our Winter Tales! Pierre finished 2016 as Vice World Champion for the second time in a row and it seems only a matter of time before the Frenchman will go one better, but he will have to wait until this upcoming season to do that now! 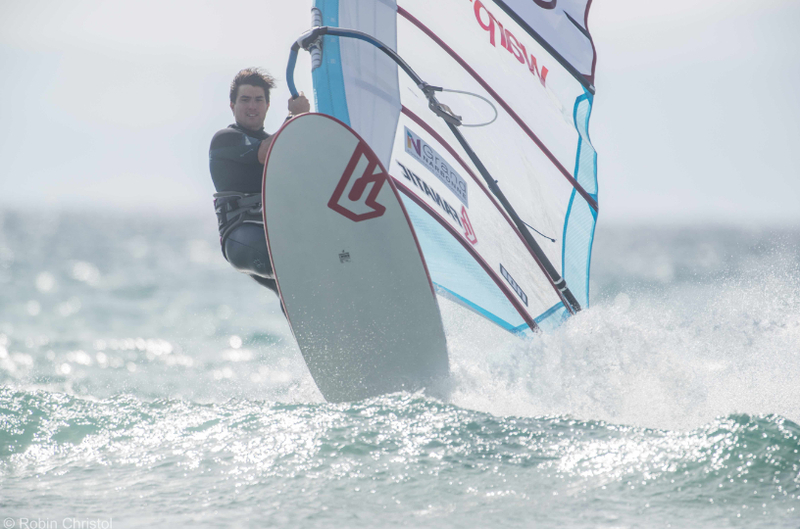 For his winter training he recently went to Tarifa and also joined some of his team mates at the TWS Slalom Stages in Tenerife. Read more about it hereafter! PM: First of all after the last season I wanted to take some time off. The year was pretty busy, especially since my mind was chasing the world title which was not that easy. I was super happy with my result but as an athlete I was also a bit disappointed. So after all the communication at the end of the season, I just wanted to take a break from the windsurfing world and enjoy my time at home. Luckily we had some amazing wave conditions and I was sailing a lot during November and December at my home spot. Before Christmas I was back at the gym to restart my training programme. PM: Since a few years I am normally travelling to St. Barth in the West Indies to train and participate in the race event there. Unfortunately the event didn’t happen this year, so I decided to stay longer at home, especially since we had a “warm winter” in South of France. So I had pretty good conditions to start my training on the new gear at home. 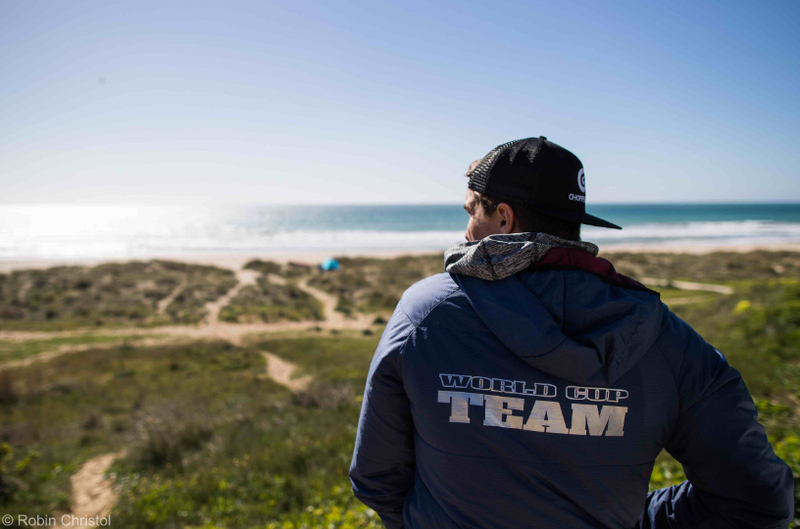 When the cold weather eventually arrived, I moved down to Tarifa for a month and also spent a week in Tenerife to take part in the 2018 R&D and train with my team mates. I just came back home now. So no exotic destination for me this winter, as I will now stay in France with my training team looking for good and various conditions. Even if it’s going to be cold, I prefer to stay here and get all I need to prepare safely for the upcoming season. PM: The goal is clear, get the World Title in Slalom. I know I can do it, I just need to put the piece of the puzzle in the right way at the right moment. I have all the support I need from all different sides so I will push for it as hard as I can! Last year it was close to get the “Triple” with Gollito and Victor, so it would be nice to do it this year! PM: Firstly for me it’s important to cut down a little bit and see some other things . 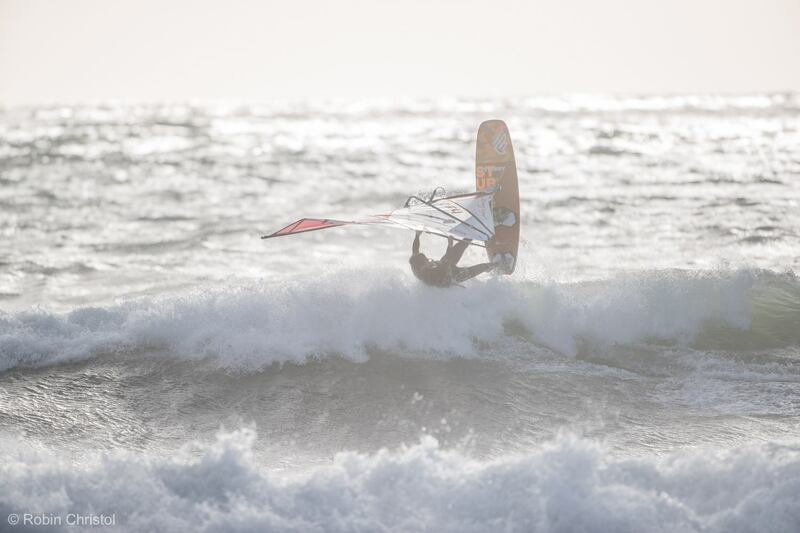 As I am living for windsurfing only for 11 months, so it’s nice to enjoy the life in different ways during the break. Spending time with my family and living a normal life! After this break, my eye coloir changes and I know where I want to go and what I need to do to arrive there! It´s not that easy and especially in difficult moments I always have the small image of winning in my head, so continue pushing harder and harder! 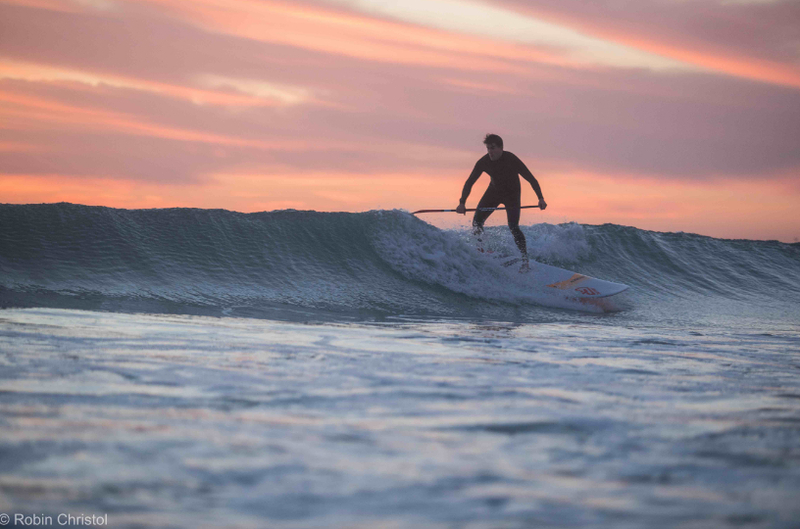 PM: I was hitting the lip perfectly but more just for fun! In terms of Slalom my plan for this winter was/is to continue to sail in every single different condition and be able to be strong everywhere anytime. Consistency is super important, especially with new events like Japan on this year´s schedule. PM: I spend a lot of time at the gym, doing my physic preparation and working on all the aspects of my body. I really like to prepare the season on my bike as you move outside and enjoy the nature. Spending time on the water is certainly my main focus. 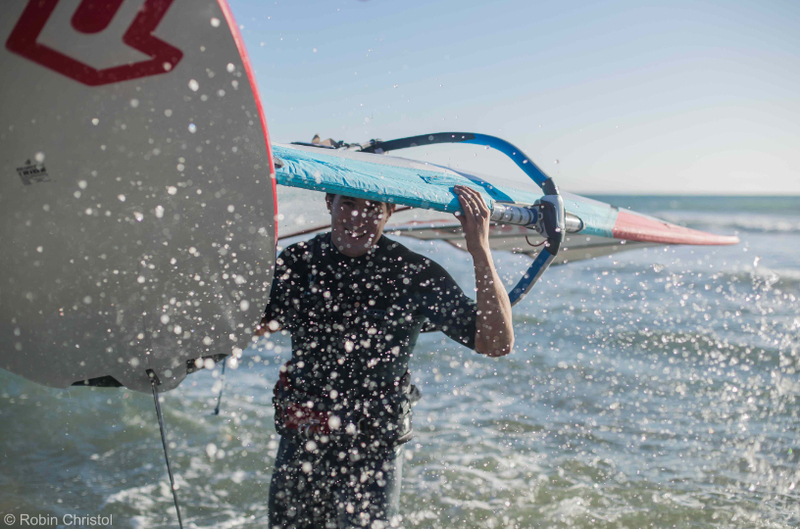 Sailing, SUPing, Surfing are all some really nice practice for Windsurfing. For me each minute on the water can help in my main discipline Windsurfing. PM: The physic preparation is super important, especially to avoid injuries! 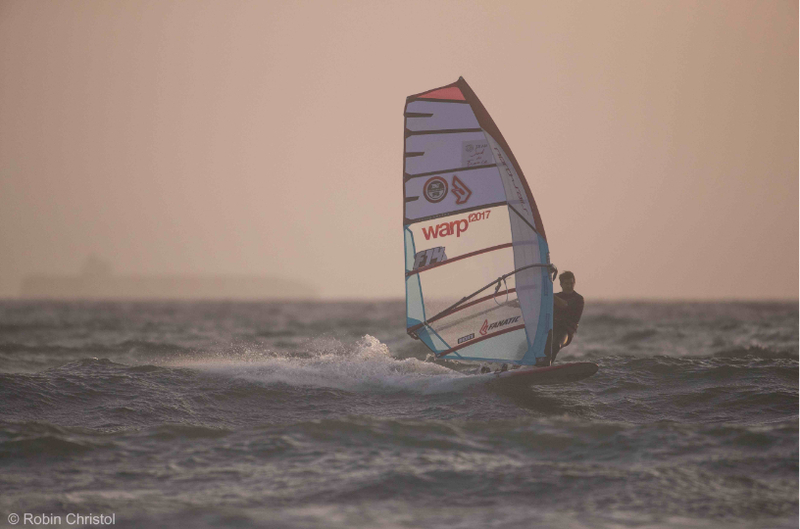 Windsurfing is an extreme sport and we are all pushing so hard, so we need to be prepare for it. The season is also very long and I am travelling a lot, so I need to be fit. All the other sports are clearly a plus for my slalom skills. Like mentioned above, being on the water is important to be a good Slalom rider, even if most people think we just go fast! PM: Concerning fitness I have my own trainer who is preparing everything for me. We are working together since a few years and he knows what I need. Concerning nutrition I don’t have special programme as my weight is high enough. I just need to stay in form altogether, so it’s important to have a good balance from what I am eating. Not too much, but enough to face a hard winter training day on the water. The French gastronomy is awesome so I enjoy it while I can! PM: Not that much, I have more and more experience year after year and I know myself better and better. My schedule works well, so no reason to change anything! PM: For the upcoming season, I think I will register my Falcon 99-114-136 and my Warp 5.2-6.3-7.0-7.7-8.4-9.0. This equipment allows me to be efficient from 7 to 70 knots so this is why I will continue this way. PM: We have to use production equipment during competitions, so it’s important to choose the right stuff for the conditions we can have during the PWA season. Being involved in the R&D is also really nice and helps me a lot to choose my gear as I am working on it before I have to make my choice. During light wind it’s important to get planing early for power and acceleration. In strong wind you need something fast but with control and comfort. 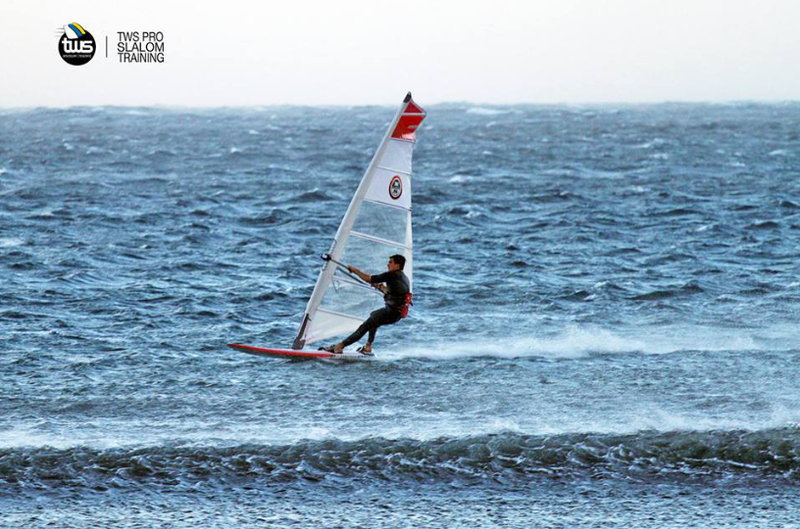 In medium wind you need a good combination of both – fast and easy! PM: My favourite board is the Falcon 99 – the board is super easy and super fast. Jibing is also one of the best characteristics. 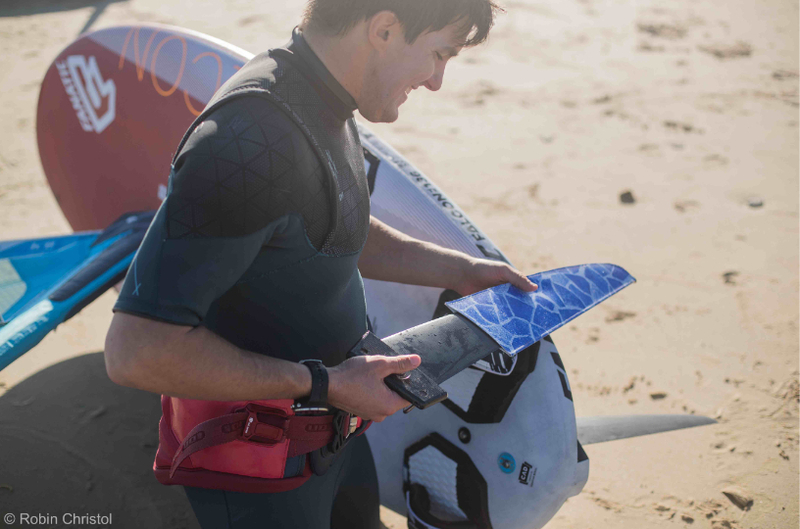 So people who are living in a windy place or who are looking for small board – that´s it! PM: Yes, I already have some good times on the water with Marco Lang and Jordy Vonk in Tenerife. We plan to meet again in south of France before the beginning of the season. It was also super nice to help my sister to get used to her new gear in Tarifa. Pretty cool that she joined the Fanatic/North team this winter as well. She is really happy with the gear and it will be easier for us promote our sponsors! PM: My highlights in 2016 are various… Here are three: My victory in Costa Brava, the amazing event we had on Fuerteventura with extreme conditions and getting the trophy in France in front of lot of passionate windsurfers and all my family and friends! Thxs a lot Pierro and enjoy the rest of your winter training!